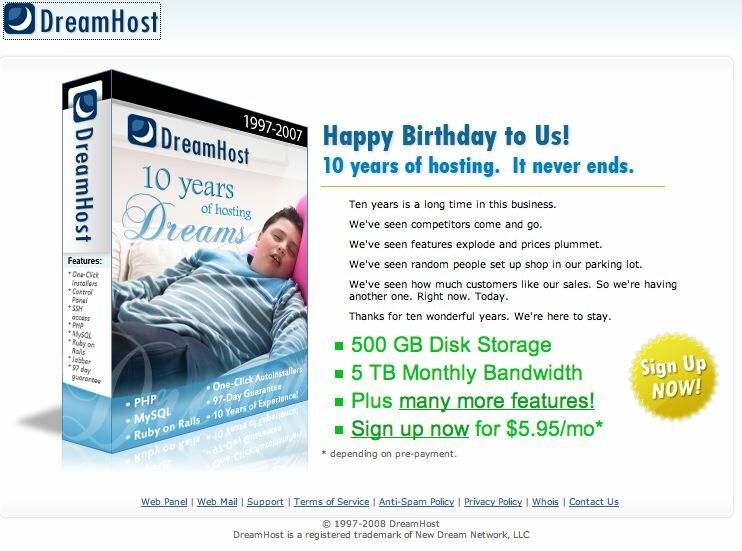 Needless to say, the way Dreamhost tried to lighten the mood around the $7.5 million billing mistake? Not very professional. They did fess up to what they did (and it would probably be difficult to not do so). And apparently they have a status domain for people to actually check if something is wrong. Unfortunately, this error was severe enough that it’s one of those things that you would probably want to post on the front page. If you notice that on their front page of their domain, there is absolutely no links to the status page. In fact, you have to dig into the support area to find it. Not a good sign really. And while there’s a time and place to take the whole “fight the power, fight the man” stance, this isn’t one of them. There’s definitely going to be an aftershock effect felt from this billing error. Just think about it with one hypothetical example. If you happen to have used a debit card to charge your services, and you overdrafted? Those overage charges are not taken up by the merchant even if they make the mistake. They’re billed to the customer. That means there’s hassle dealt with by the customer. There also is many other types of scenarios with credit cards, that could or could not effect your credit rating along with other types of mishaps. Customer side of things, it’s a huge screw up and they have a right to be pissed regardless since they except a certain level of service. The light joking stance is a method of trying to take a bit of the edge off. Unfortunately, Dreamhost not only is biting the bullet on this one, but they need to be professional about it. Other hosting providers are currently reaping the benefits of customer turnover, and Dreamhost should be throwing out freebies or credits like mad to keep their business. The actions on how they dealt with this situation makes me reconsider my initial look at Dreamhost as a provider for a business I’m currently starting. Sometimes, if a business doesn’t know when to act professionally and know how to deal with public relation fiascos, it’s not worth using as a business hosting provider. Hopefully Dreamhost learns from this mistake.